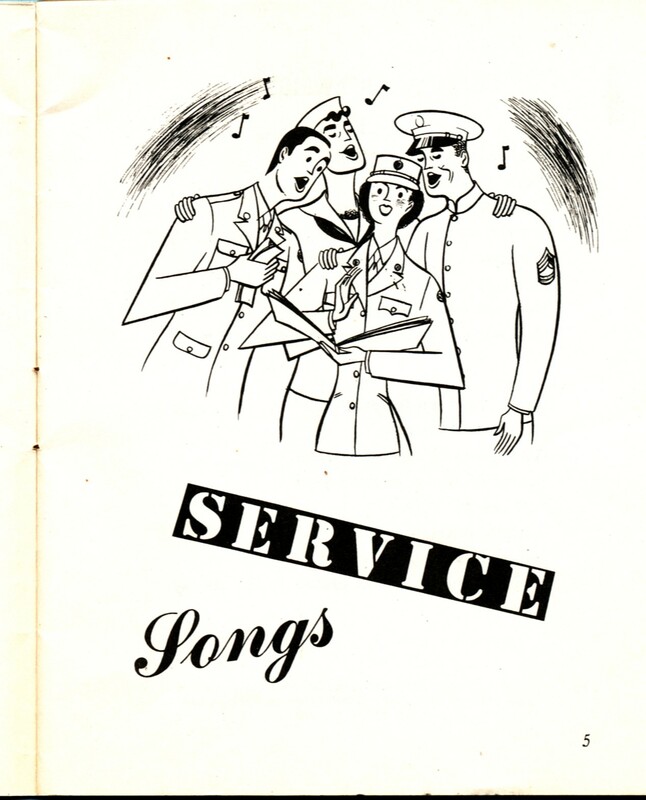 I’m still enjoying the 1944 WAC songbook. 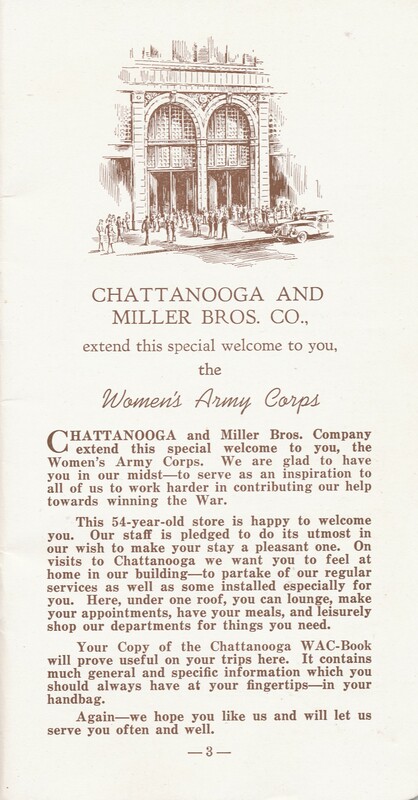 I’m still enjoying looking at the booklet that the Miller Brothers Company department store in Chattanooga, Tennessee gave new WACs who were in basic training at nearby Fort Oglethorpe. 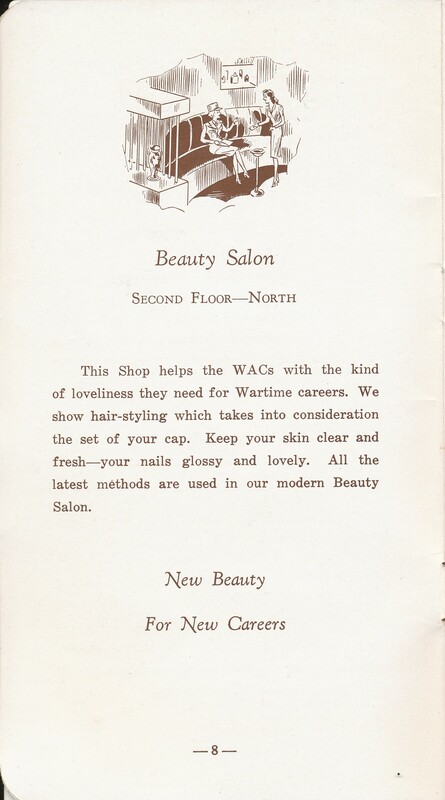 I love this page advertising their beauty shop. I wonder if Aunt Marian got a new hair cut for her new career. 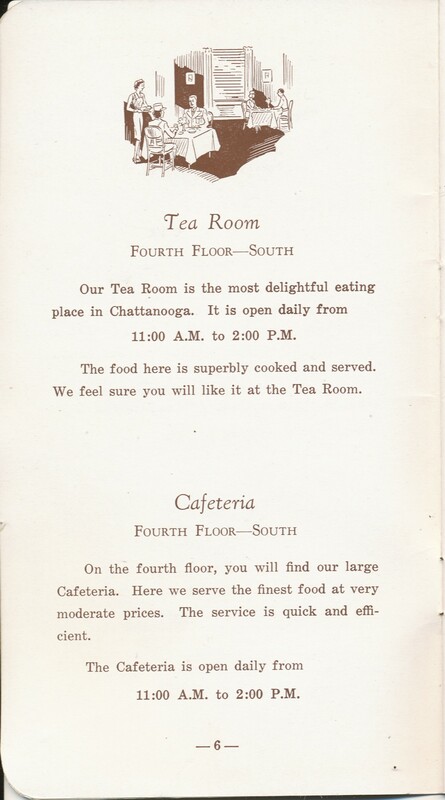 Among the items of Aunt Marian’s that I found in my parent’s attic was a small booklet published by the Miller Brothers Company department store in Chattanooga. 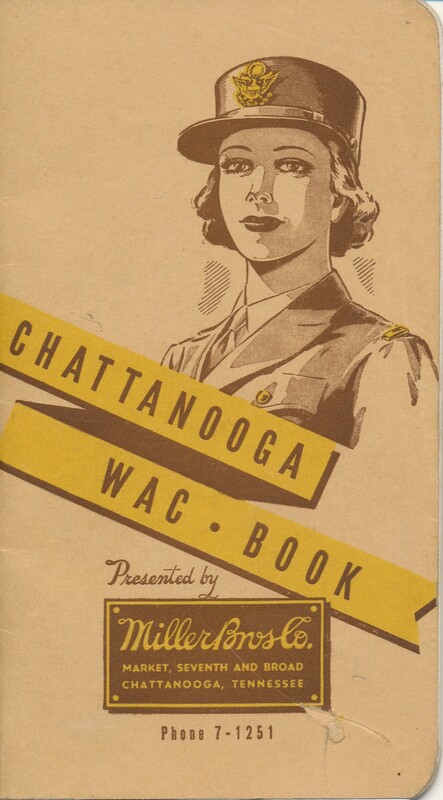 The booklet apparently was given to new WACs who were in basic training at nearby Fort Oglethorpe. It describes the store and the general area, and includes some blank pages at the back. 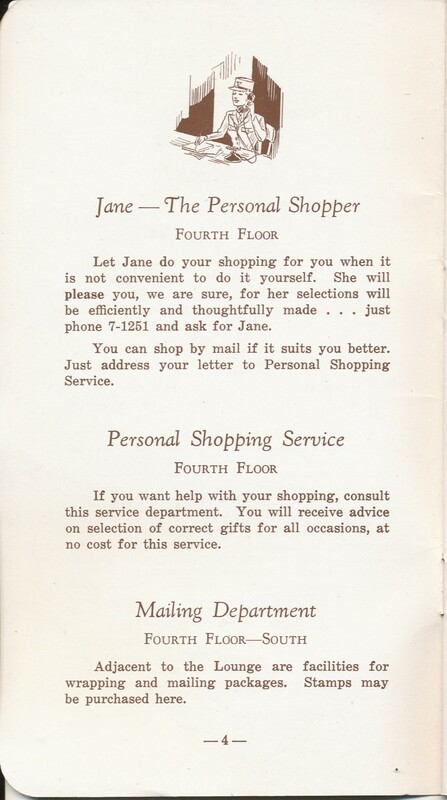 I was amazed that the first few pages of this book don’t describe the various departments in the store, but rather focus on personal shoppers, a mailing room (the women must have wanted to mail gifts home to family and friends), and food. There are more pages–I’ll share a few of them in future posts. The store no longer exists, but the building was so awesome that today it is on the National Register of Historic Places. Whew, Times have changed since the 1940s. 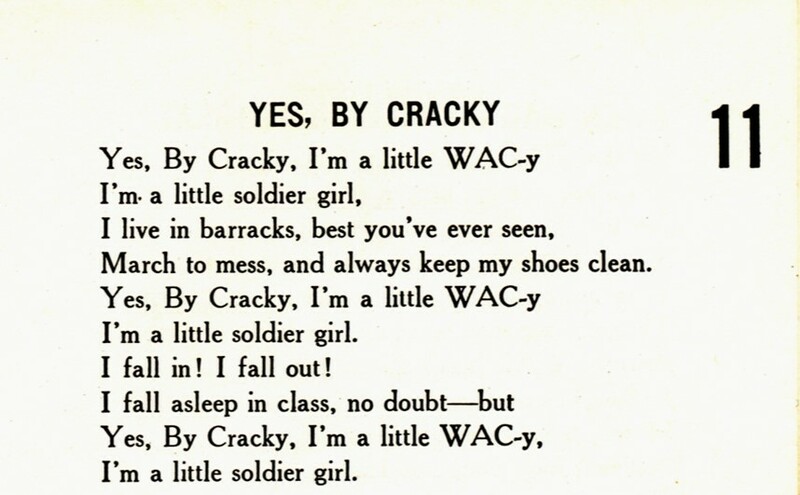 Woman’s cloths back then could be so limiting (though they obviously didn’t totally prevent WACs from doing rigorous physical activities during boot camp). Aunt Marian went to Fort Oglethorpe for boot camp. 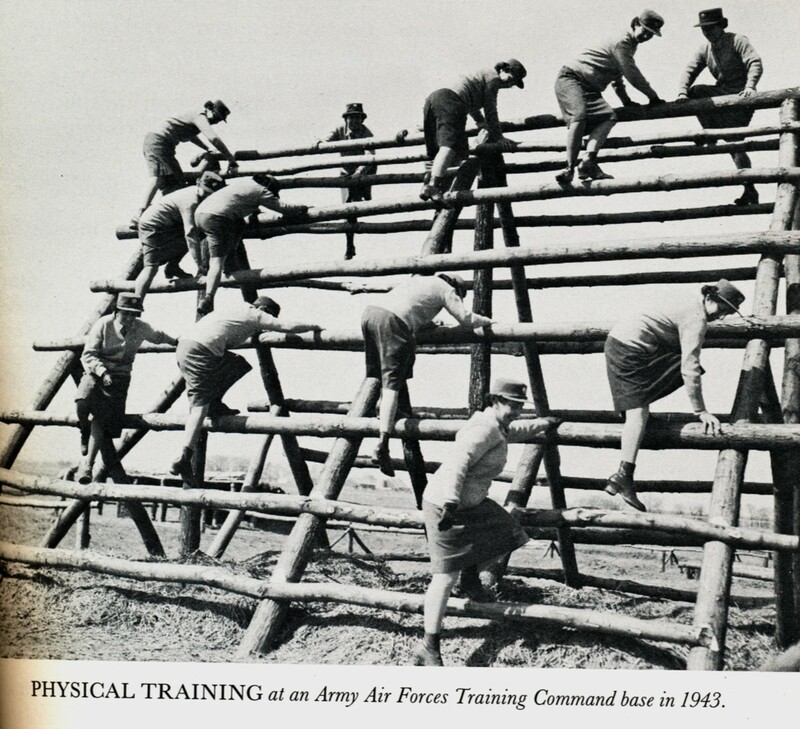 This photo was taken at another base, but it gives clues about what her boot camp experience would have been like. 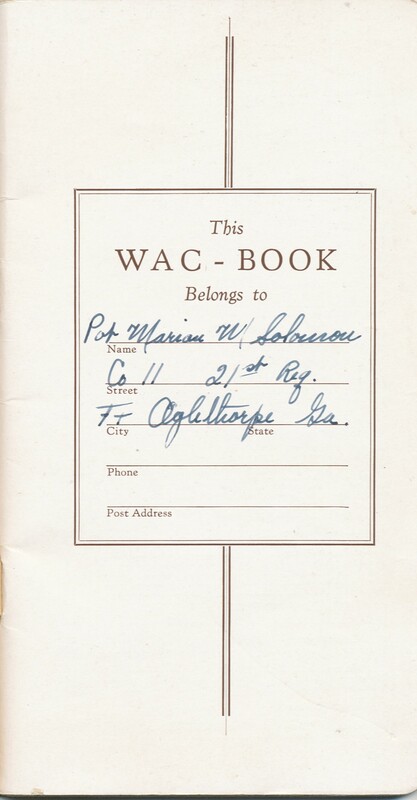 I remembered seeing this picture when Shore Acres wrote a comment several days ago that included a link to an absolutely incredible video showing WACs at Fort Oglethorpe wearing dresses while practicing judo. Be sure to take a look at it. 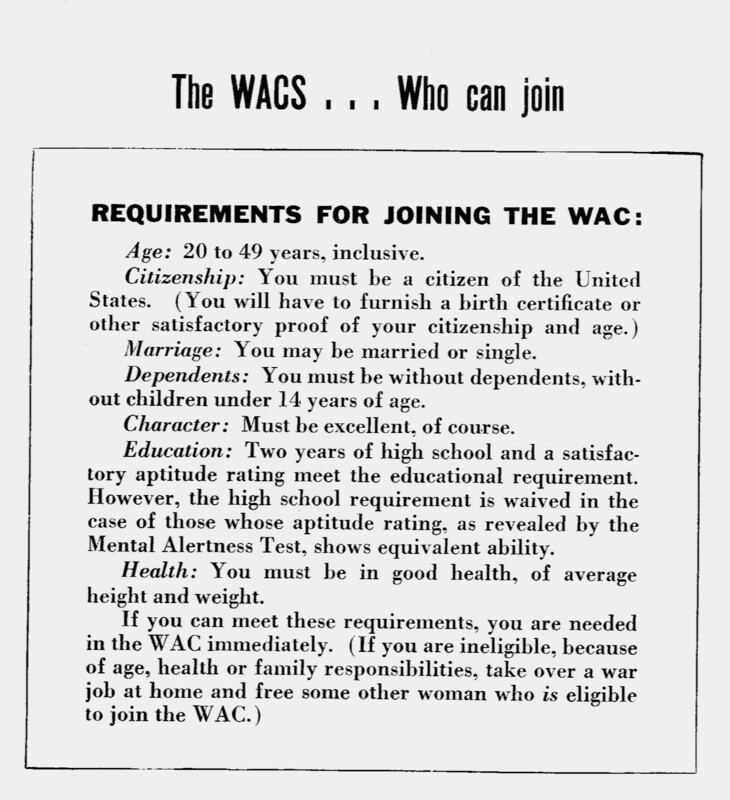 Who Could Join the WACs?
. 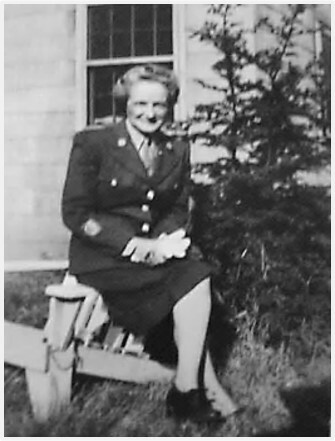 . . She attended the Mountain Grove Country School–an elementary School. She did not attend high school. . .